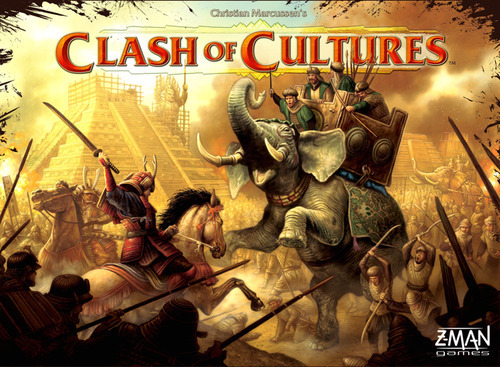 From Z-Man Games comes Clash of Cultures, a big bold civilization game by the creator of Merchants and Marauders. 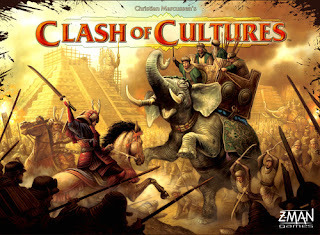 Transform a meager settlement into a mighty empire whose culture will be your greatest achievement. To accomplish this, you will have to invent new technologies, build grand cities, and spread the influence of your culture across your enemies' borders. You will need to explore the lands and seas with your settlers and ships, and conquer foreign cities and barbarian settlements. Also, newly released from Fantasy Flight is Descent - Lair Of The Wyrm, an expansion to the Descent: Journeys In The Dark (2nd edition). 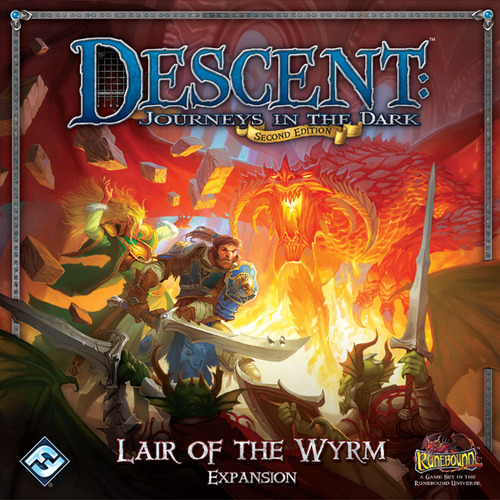 Fantasy Flight brings even more adventure to your Descent campaigns with Lair of the Wyrm. This expansion introduces new heroes, classes, monsters, quests, and more. Heroes can now discover secret rooms and investigate suspicious rumors while the overlord equips himself with new Overlord cards and attempts to align himself with a deadly new lieutenant: Valyndra, the Wyrm Queen.